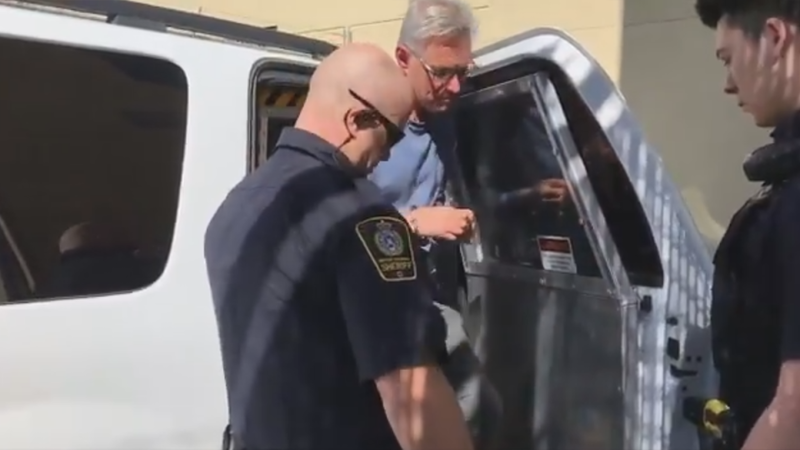 John Brittain, the 68-year-old man charged in the shooting spree that killed four people in Penticton this week was not the kind of person to act violently or lose their temper, a friend of the accused told CTV News Vancouver. “John is a quiet, unassuming kind of person," Dave Folstad said Tuesday. "Easy to talk to, friendly – to just knock on the door and he’d come for a walk with me." Folstad said he met the accused at the public speaking group Toastmasters. “He’s a warm, respectable person," Folstad said. "I've never seen him raise his voice … He’s not the kind of person who you would expect to have any enemies." A Penticton spokesperson confirmed that Brittain was an engineer in the city's Development Services Department until retiring in 2016. 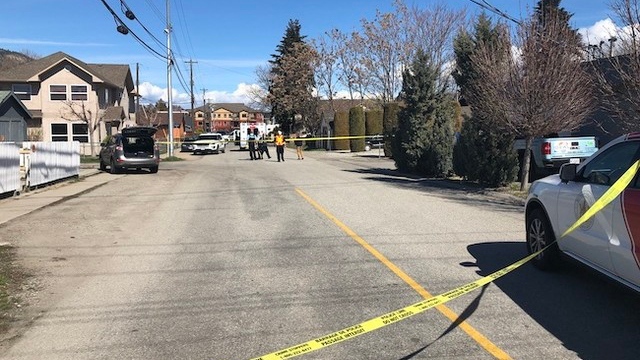 He is now facing three counts of first-degree murder and one count of second-degree murder in connection with the violence that shook the Okanagan community Monday morning. Speaking at a news conference on Tuesday, Mayor John Vassilaki offered condolences to the victims' loved ones on behalf of the entire city council. "Our prayers are with the families," he said. "I can assure them that we're behind them 100 per cent, as is the RCMP." Vassilaki was a councillor back when Brittain was employed by the city, and said he interacted with the accused but knew little about his personal life. "He did his job well," Vassilaki said. "Other than that I couldn't tell you anything more about (Brittain and his partner's) personal lives." After leaving the city, Brittain worked on a part-time basis for Ecora, an engineering and environmental consulting firm. Ecora president Kelly Sherman told CTV News he was shocked and saddened by Monday's news. Brittain appeared calm and composed during a brief court appearance Tuesday. He was escorted into the building in handcuffs, and appeared clean cut with glasses and grey hair. Few details have been confirmed about the victims except that they are two women and two men, all in their 60s or 70s, who knew each other and knew the alleged shooter. Heartbroken family members identified one of the deceased on social media as Rudi Winter, who was the first one shot on Monday. Winter was doing yard work outside a duplex near downtown Penticton at the time, but lived on Cornwall Drive, where the other three murders took place. Two of the victims, a man and woman, were found dead at one home, while the final victim was discovered at a property right next door. Authorities have not commented on a potential motive in the case. The city told CTV News bylaw officers have dealt with several complaints between the Winters and a next door neighbour, but would not elaborate on the nature of the dispute. RCMP Supt. Ted De Jager asked anyone with information that could shed more light on the crime to come forward. De Jager said police have no plans to release the victims' names because it's not necessary for the purposes of the RCMP's ongoing investigation, and because the families would prefer privacy. "If there's an operational need or an investigative need to release the names of the victim, then we will do that," De Jager told reporters, adding that he's "sure those names will come out in due course as the community grieves." Authorities did confirm Brittain's ex-wife is not among the deceased. 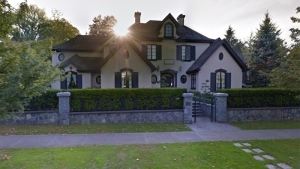 Investigators believe the suspect acted alone, and have tried to reassure residents there is no further danger to the neighbourhood. De Jager said he understands it will take a while for people to recover from such a shocking and unexpected tragedy. "I recognize these heartbreaking events have deeply impacted our community, and will continue to do so for some time," he said. Folstad, meanwhile, said Brittain "still has friends in the community who care about him," even though they're still unclear on the details of what may have happened. "People watching in the news are curious … and think maybe he’s some sort of monster, but I think it will come out that he’s been an ideal citizen for 60 years and this is something that’s total opposite of what you’d expect," he said. Brittain is scheduled to appear in court next on May 8. John Brittain, the suspect in Monday's deadly shooting in Penticton, arrives for court Tuesday morning.